The Royal Commission on the Ancient and Historical Monuments and the Scottish National Trust made an eight-day field trip to the island, where they found the remains of agricultural field system and crop terraces, as well as an intact stone building. 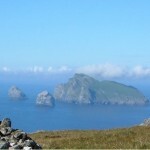 The article quotes Jill Harden of the National Trust for Scotland as saying, “New discoveries and interpretations are fundamental to people’s understanding of ways associated with all the islands and stacs that make up the St Kilda archipelago”. Located 64 kilometres to the west of the Outer Hebrides, Boreray Island is described as one of Europe’s most inhospitable islands, which up until the find, was thought to have only been visited in summer by inhabitants of the nearly Hirta Island the largest island in the same chain, for hunting birds. 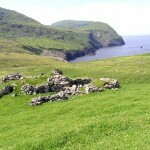 The remaining 36 inhabitants of Hirta, were evacuated at their own request in 1930. 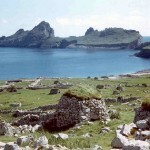 The St Kilda archipelago is one of 27 locations in the world which has dual World Heritage status by UNESCO, recognizing its natural and cultural heritage.